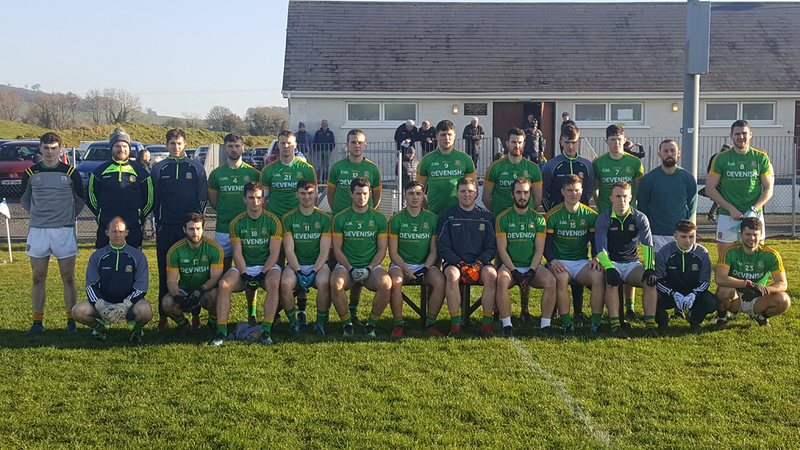 The home county got a good start with three early points from Darragh Campion, Ben Brennan and Bryan Menton in the Michael Reynolds Memorial Cup played in Millbrook, Oldcastle on Sunday afternoon (18/11/2018). Emlyn Mulligan kept the visitors in the game with three pointed frees. By the midway point Meath held a 0-5 to 0-3 advantage but increased this by the 25th minute with four unanswered scores through Brennan (3) and Campion. Leitrim responded in style in the last five minutes. Ray Mulvey pointed twice before Padraig Gallagher got in for the games opening goal. Mulligan added his fourth to send the teams in at the break level 0-9 to 1-6. Managers Andy McEntee and Terry Hyland used the second half to throw their eye over their panel. 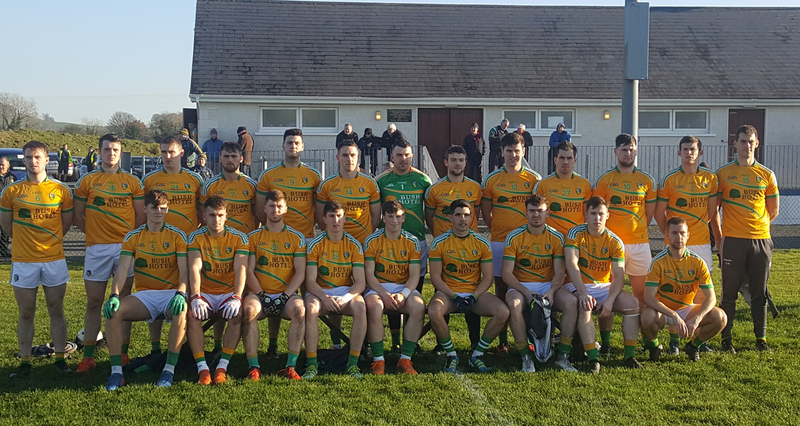 Leitrim had to wait till the 19th minute for the first score while Niall Kane, James Conlon, Sean Tobin, James McEntee, Donal Keogan, and Thomas O’Reilly pointed for the Royals to open up a seven point lead. Keith Beirne (2) and Paddy Maguire added to the Leitrim tally but Meath had the last say with a Barry Dardis goal. 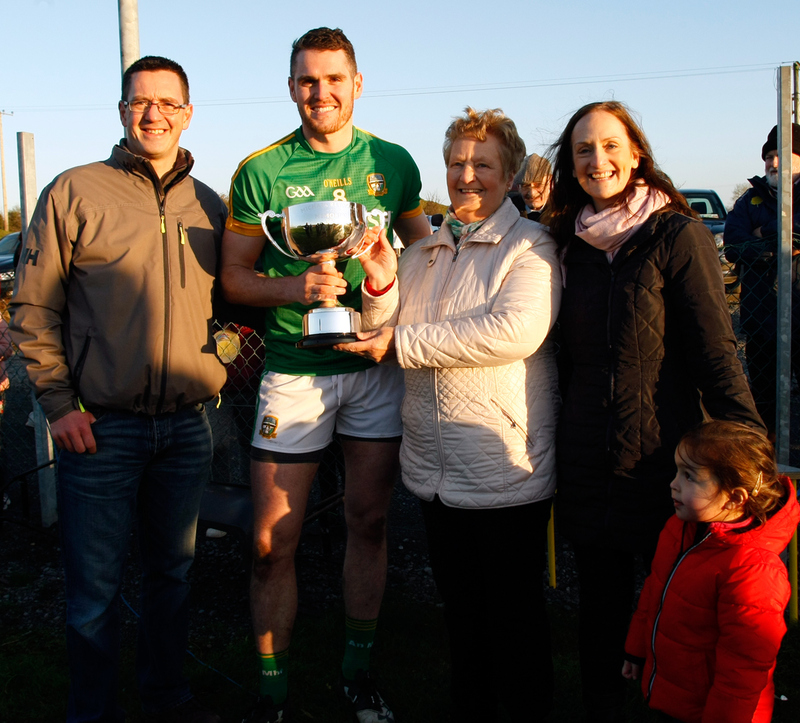 After the game Mary, Vincent (son), Colette (daughter), Holly (granddaughter) Reynolds presented the Michael Reynolds Memorial Cup to Bryan Menton (Meath Capt.). 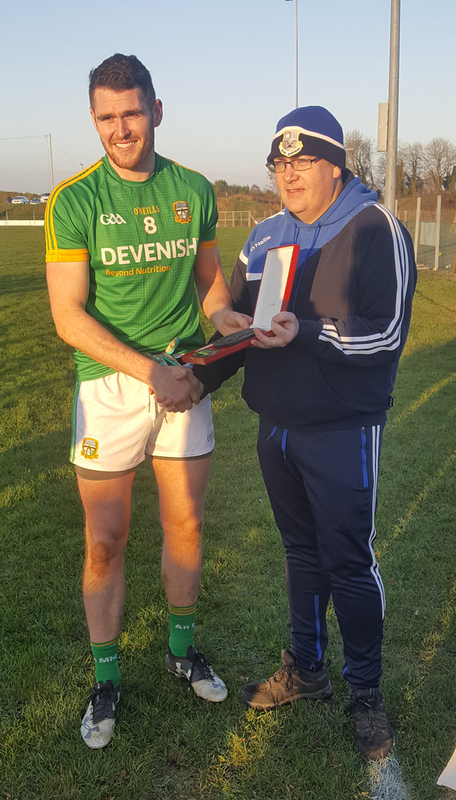 The ‘Man of the Match’ award (Sponsored by John McBride – JMB Sportsfield Services) was presented to Meath’s Bryan Menton by Dermot Monaghan (Secretary, Oldcastle GFC) . Darragh Campion (Skryne), Danny Quinn (Ballinabrackey), Ben Brennan (St Colmcille’s), Barry Dardis (Summerhill), Thomas O’Reilly (Wolfe Tones). Subs used: Marcas Brennan (O’Mahony’s) for Colgan, James McEntee (Currahe) for Reilly, James Conlon (St Colmcille’s) for Brennan, Ronan Ryan Summerhill for Garry, Sean Tobin (Simonstown Gaels) for Flanagan, Thomas McGovern (Don/Ashbourne) for Ferguson, Eoin Lynch (Longwood) for Curran, Adam Beakley for Marcas Brennan. Subs/Panel: Cathal McCauley (Drumkeerin), Conor Cullen (Aughasheelin), Daire Farrell (St Mary’s K’toghert), David Mulvey (Gortletteragh), Eoin Ward (Carrigallen), Brendan Flynn (Leitrim Gaels), Evan Sweeney (Glencar M’hamilton), Francis Flynn (Gortletteragh), James Rooney (Glencar Manorhamilton), Keith Beirne (Mohill), Kenneth Cox (Annaduff), Niall Brady (Glencar Manorhamilton), Oisin McCaffrey (Ballinamore Sean O’Heslins) Shane Moran (Ballinamore Sean O’Heslins), Darren Maxwell (Ballinamore Sean O’Heslins).